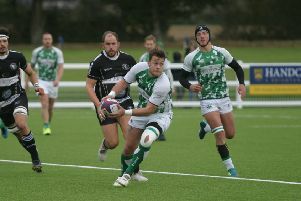 Pulborough admitted they were left with no option but to pull out of their London 2 South East clash with Vigo at the weekend as they had just 12 fit players. The club admitted they were disappointed to have to forfeit the fixture at such late notice, but they were hit by a number of factors that saw them unable to raise a side. A number of injuries had already left ‘Borough down to the barebones on Friday when they realised they could struggle to field a side and informed their hosts of the situation. ‘Last-minute sickness’ on Saturday morning ruled out more players and meant ‘Borough opted to let their Kent opponents have the victory. As a result, Vigo were awarded a bonus-point win with a 40-0 scoreline. Pulborough stalwart Richard Nicholls said: “Obviously it was disappointing to cancel the game on Saturday and yes its correct we found ourselves with 12 players on Saturday morning basically as a result of last-minute sickness. “We knew we were touch and go on Friday hence the heads up to Vigo but it wasn’t until the morning that we had more confirmed ill.
First team captain Frazer Oliphant-Hope added: “We had a fair amount of injuries and unfortunately we had about three or four players call up really sick and unable to play. “We tried to recover a few players but due to the late notice, we had too many people either away or abroad so we just couldn’t bring a team together for the first time in years. Pulborough’s next game is at home to Park House on February 8.